The majority of people in the United States have had that sinking feeling of seeing flashing police lights in their rear view mirror. In most cases, these individuals know exactly what they did. Whether it was speeding or changing lanes without using a turn signal, that person most likely gave the officer the right to pull them over. Many people wonder, though, why police don’t need these same reasons to perform a random DUI checkpoint. Because of the implications of such a stop, everyone should understand these random checkpoints. Most individuals familiar with DUI laws know that simply performing a breathalyzer test seems like an infringement against a person’s Fifth Amendment Right to not self-incriminate, but the water becomes even murkier with DUI checkpoints. The Fourth Amendment of the United States Constitution says that individuals are protected against unreasonable searches and seizures. This is where the problem arises. A search is usually considered “unreasonable” if there is no probable cause to perform it. Since police stop every vehicle going through a checkpoint, though, it’s obvious that they have no probable cause. They may not have seen the driver swerving, speeding or breaking any law whatsoever. This leaves many individuals wondering whether police are infringing upon their rights. How Can DUI Checkpoints be Legal? 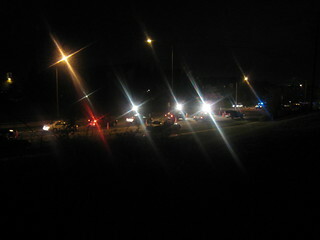 To the chagrin of many individuals, the Supreme Court of the United States (SCOTUS) made the decision that random DUI checkpoints were legal. 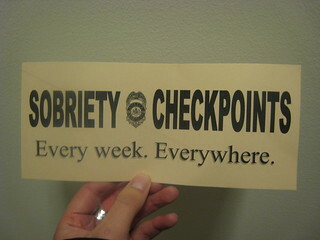 A recent Internet search produced this overview of Sobriety Checkpoint Laws in all 50 states. The Michigan Supreme Court declared these techniques to be unconstitutional, but the case made it all the way to the “Highest Court in the Land.” The Supreme Court did admit that these checkpoints were a ‘slight infringement’ on people’s constitutional rights, but they decided that the safety of the public was worth this seemingly minor infringement. Though the Supreme Court found these random checkpoints legal, not all states simply went along with the ride. In fact, there are actually 12 states in America that do not allow DUI checkpoints due to state law or constitutional grounds. Individuals can obviously still be arrested for driving under the influence in these states, but police don’t simply get a free ride by not needing probable cause. There are also states that decided on their own to allow DUI checkpoints rather than taking the word of SCOTUS, and anyone in law enforcement could tell you that these random stops are conducted on at least a weekly basis. This is only the case, though, because the state decided by statute to not outlaw the police technique. While the state may not have cared much for the decision of SCOTUS, they did come to the same conclusion. While DUI checkpoints are definitely in a gray area of the law, the simple fact remains that they are completely legal within the United States. This doesn’t mean, however, that they’re legal everywhere. Fortunately for some, even in states where police can undertake these stops, a person arrested for DUI can still avoid consequences. As this DUI attorney Charlotte NC firm could tell you, an arrest with a failed breathalyzer isn’t an automatic conviction, so a person should always fight these charges.